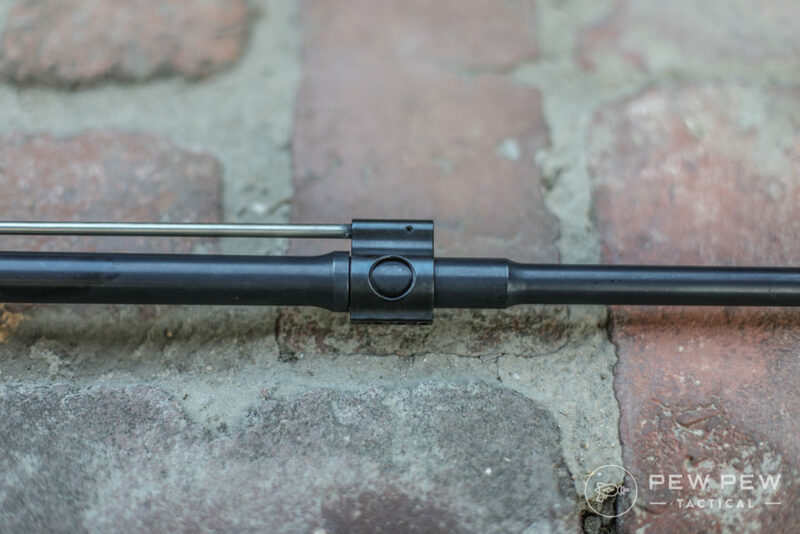 Looking for a solid AR-15 barrel for under $200…that’s light too? 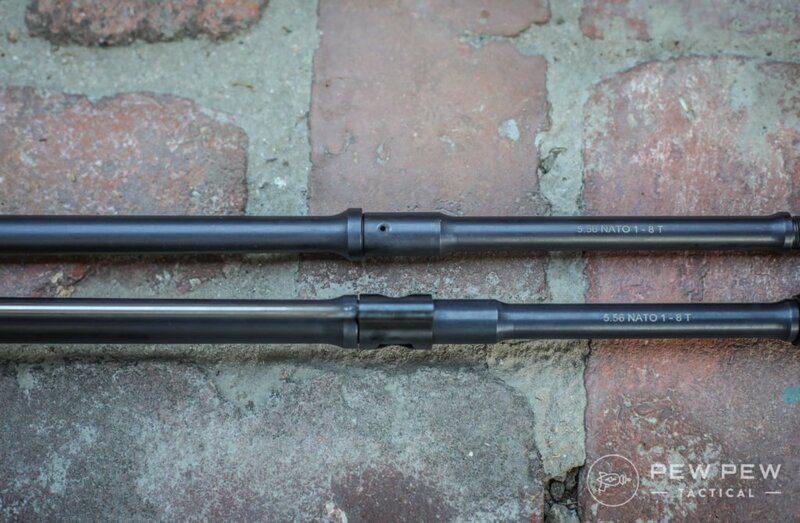 Faxon’s super-popular “Gunner” profile barrels ($175) might be the one for you. Find out what makes the Gunner profile special when compared to the standard M4 profile…plus my take on fit/finish, shootability, accuracy, and more. By the end you’ll know if this do-all barrel is for you. AND Faxon has given Pew Pew Tactical readers a special 10% off all barrels coupon. Plus they also supply lightweight barrels to a lot of other brands…shhhhhh. I’ve reviewed several of their barrels over the years and really like their stuff for the price point. But now I’m finally reviewing their flagship Gunner profile. You can see the thickness tapers a little to a gas block diameter of .75″ and pretty much continues until the end. You get the stiff Government profile at the beginning which tapers into a pencil profile of diameter .625″ for the gas block. It’s the best of both worlds. A regular M4 barrel can be up to 28 oz while the 16″ Gunner is 22 oz. That’s a good 6 oz amount (hockey puck or billiards ball) of savings at the end of your AR. And the difference from the Gunner and a pencil barrel? The extended area after the gas block install which adds nearly 3 oz but more stability across different loads in our groups testing. Now you know what the Gunner is…let’s see how it does! The barrel is nicely QPQ Nitride finished so it’s a nice smooth black. Not bumpy like phosphate and not excessively shiny. M4 feed ramps were all nicely cut across the Faxon barrels I’m testing/tested. Install was straightforward and I used their Ultra Low Profile Gas Block in .625″ ($32) and their mid-length gas tube ($14). I made sure to have the proper clearance from the shoulder to the block and each install has been great with thousands of rounds combined. 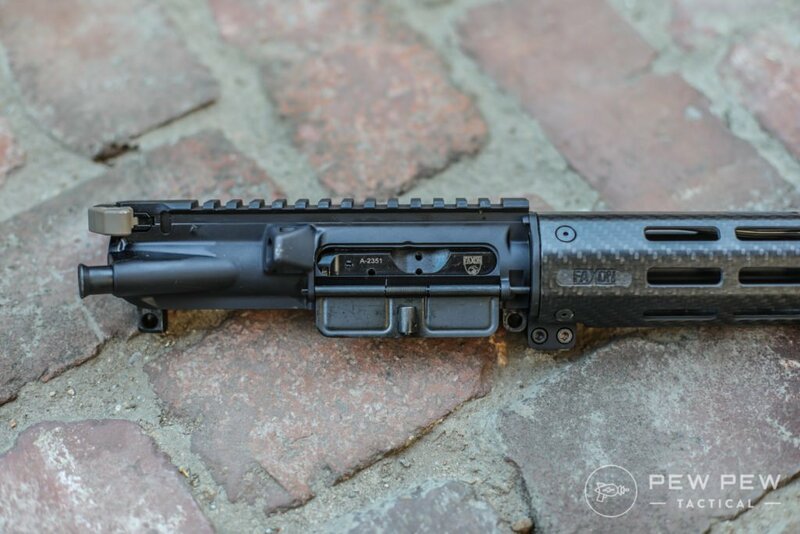 Check out our How to Assemble an AR-15 Upper Guide for help. I also combo-ed it with a Faxon Upper Receiver ($125) and Lightweight BCG ($249). 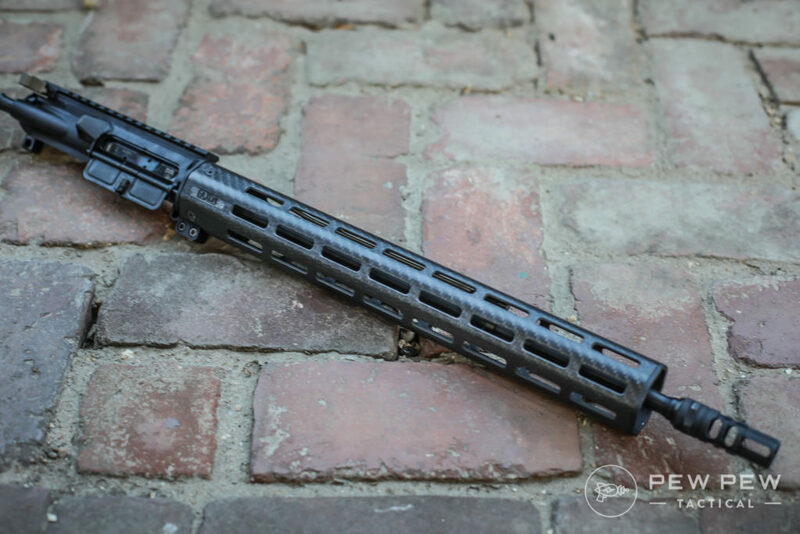 Plus their lightweight Carbon Fiber Handguard ($329) to really take advantage of the Gunner weight savings. In previous builds I’ve used Aero Precision and Anderson Manufacturing uppers and Midwest Industries handguards. Everything is up to spec and fits like the adult legos that AR-15s were meant to be. 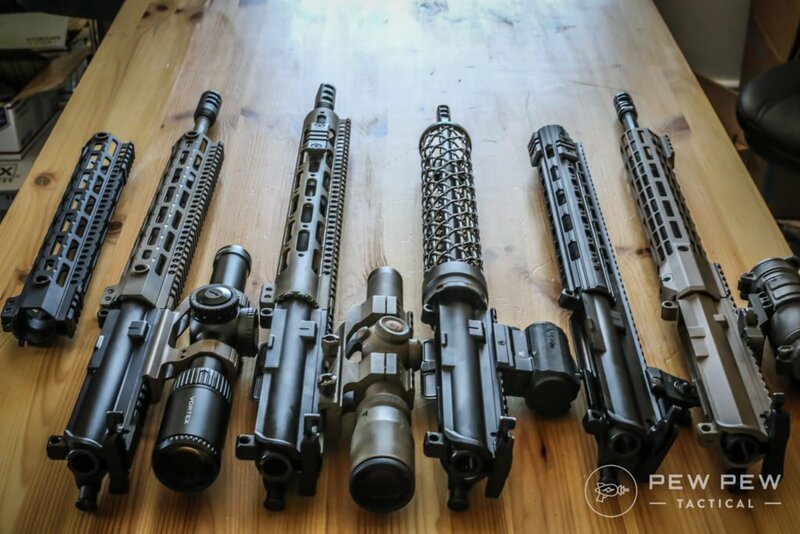 Check out more in Best AR-15 Upper Receivers and Best AR-15 Handguards. 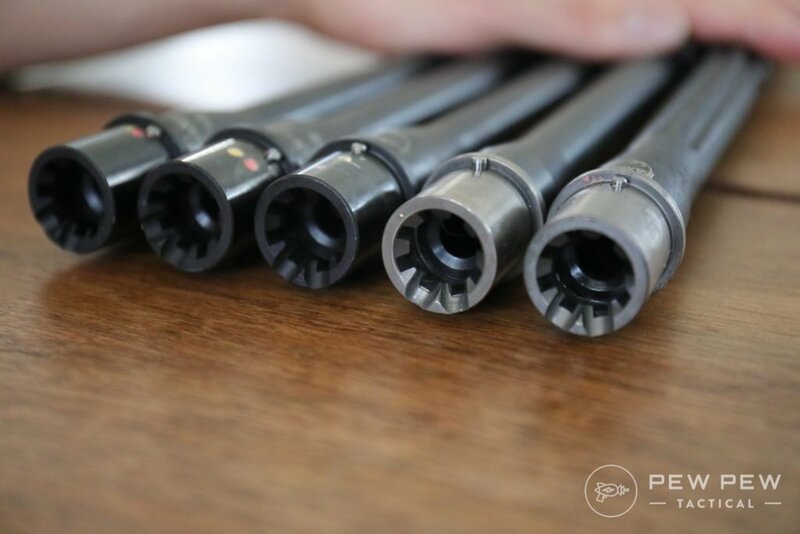 I tried the Gunner barrel in two builds…one with a standard aluminum handguard and another with Faxon’s Carbon Fiber. Both builds my buddies and I were surprised at how light everything felt. Which translated into quicker movement between targets. Removing that 6 oz from the front really helps! Also…even without an adjustable gas block the recoil was very manageable since it’s shooting 5.56. 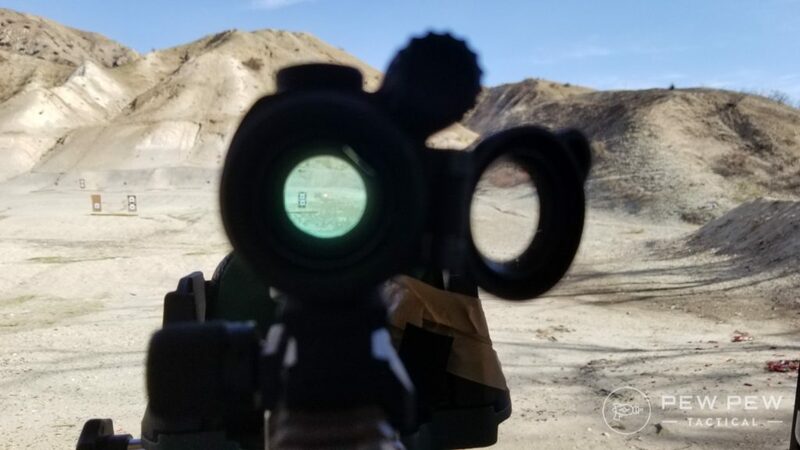 I used a Aimpoint PRO (Best Red Dot Sights) and was able to nail 100 yard plates in rapid succession with ease…even when standing up. 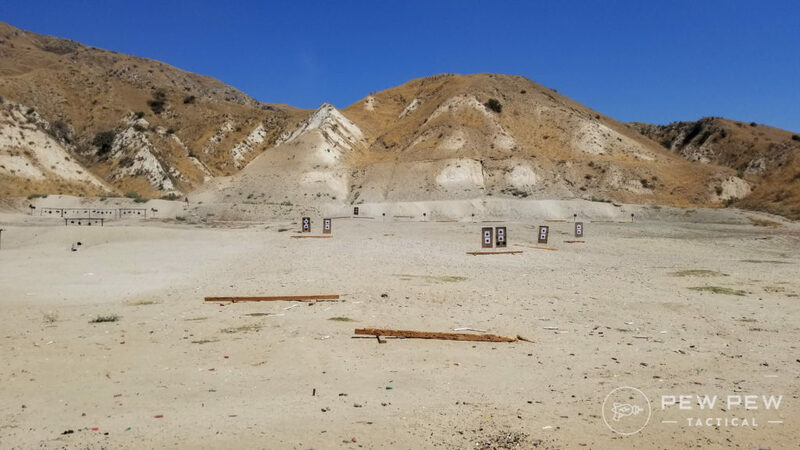 After 500 rounds across several range trips and shooters…I was ready to test 100 yard groups. With my go-to shooting rig setup. And a couple 5.56/.223 ammo loads. I shot at a decent speed of around 1 round each time I got back on target (3-5 seconds). 10 round groups. I waited for the barrel to be warm enough so I could grab it before moving onto the next load. 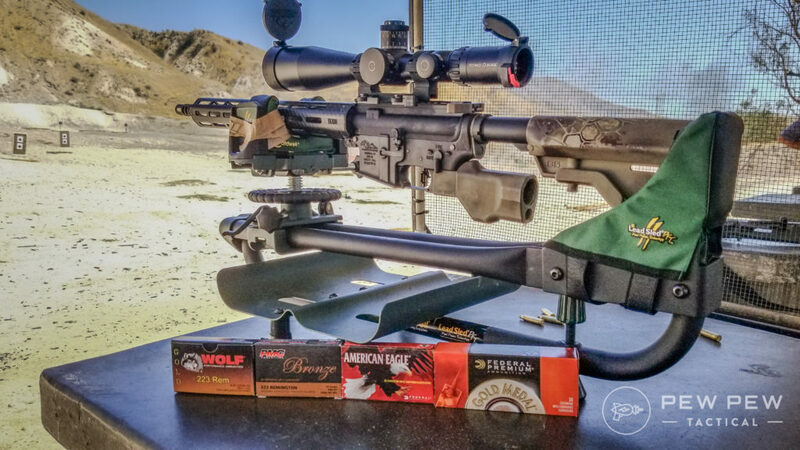 The cheapest plinking round I had was the Wolf Gold and it did the most poorly…at about 3 MOA (3″ groups at 100 yards). PMC Bronze was slightly tighter. 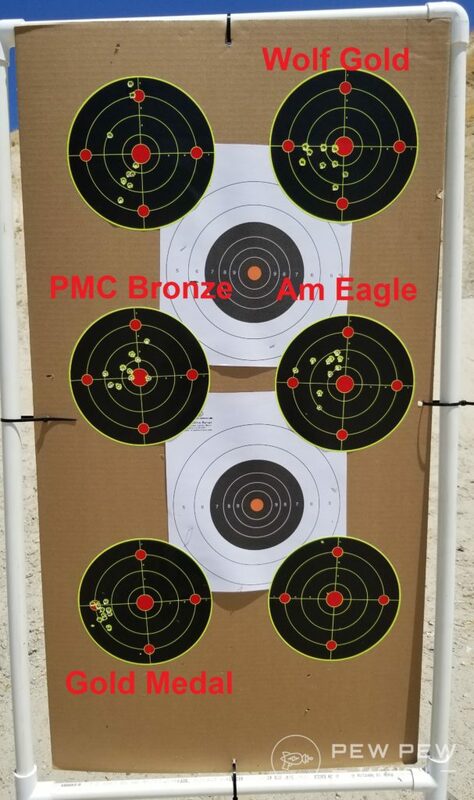 And I was having really high hopes for American Eagle for my first 6 shots that were about 1 MOA. But then it started opening up on the last 4. It seemed like this for the other groups as well. Pretty close for the first 5 or so rounds…and then it opens up when the barrel warms. How about the match ammo? Recently I’ve been having a string of good luck where the cheapest ammo somehow did the best. But this time things returned to normal and we see Gold Medal group 1 MOA. For ~$160 (with the special Pew Pew Tactical coupon at the bottom)…it’s pretty great to get a 1-3 MOA barrel from a trusted brand. One that’s good enough for 90% of the people and even competition shooters unless you’re shooting 400+ yards at smaller targets. 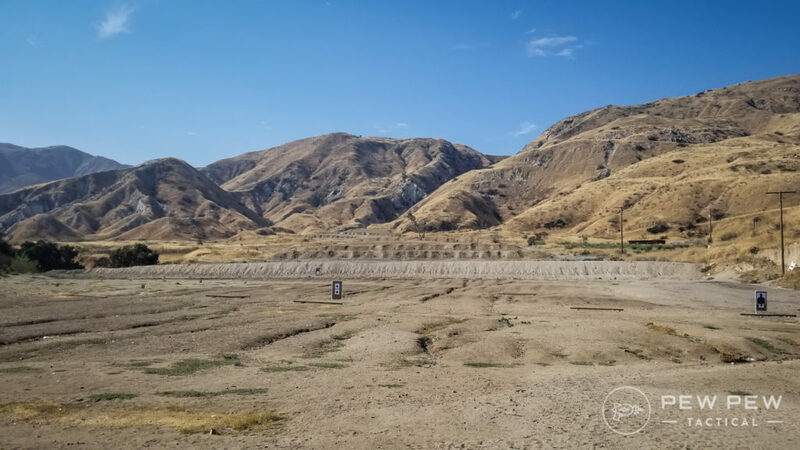 I was able to hit 300 yards (3rd berm) most of the time crouched with my 1x Aimpoint. Nothing went wrong in 500+ rounds. Feed ramps were cut correctly, gas block holes were in the right place, and it was easy to install onto two uppers and handguard configurations. Does the best with match ammo…but also did well with plinking ammo until it opens up due to the heat. However still great for the price and enough accuracy for most people…even competition shooters. QPQ Nitride is smooth and not shiny (or dull). No dents or tooling marks I could find. An awesome overall barrel for around $160. Looks great, shoots softly, and transitions quickly. There’s not too much to ask for a $160 barrel. 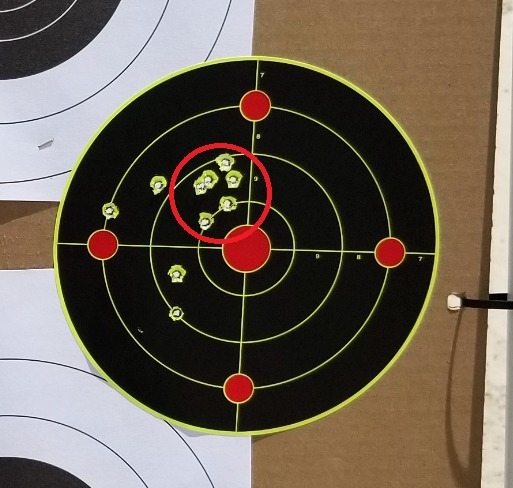 Accuracy could be better with plinking ammo after the barrel heats up…but it didn’t seem finicky about which ones. If I had to choose…I’d go with the American Eagle for mine (Best AR-15 Ammo). But always test your individual barrel since they can vary. I firmly recommend Faxon’s Gunner Barrel for your affordable builds where you want something light from a reputable company. 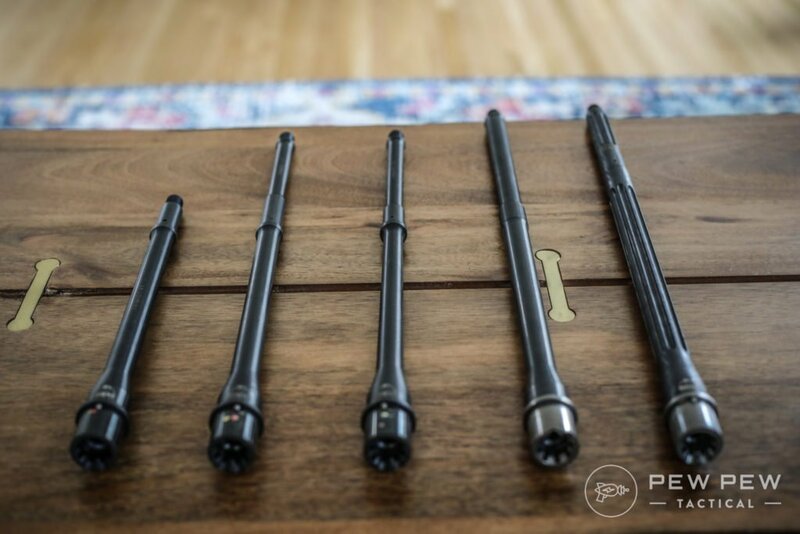 Are you going to get a Faxon Gunner profile barrel? Or if you already have one…how’s it shoot compared to mine? Check out the rest of our barrel picks in Best AR-15 Barrels. 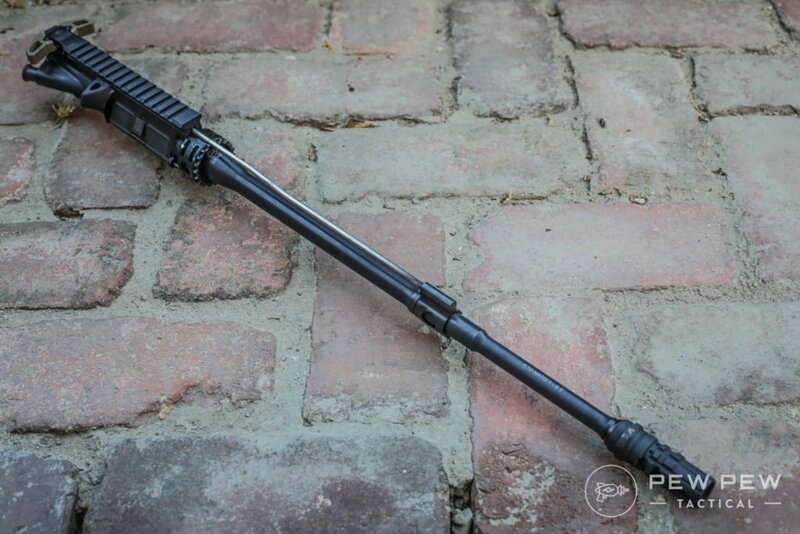 The post [Slickguns Review] Faxon 16″ Gunner Barrel: Best Bang-for-the-Buck? appeared first on Pew Pew Tactical.